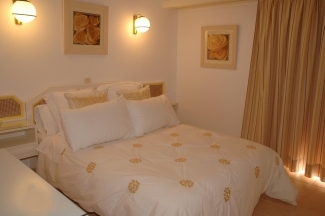 Mouragolf Village is a tourist complex of 18 V2+1 self catered villas each able to sleep 4 adults and 2 children. 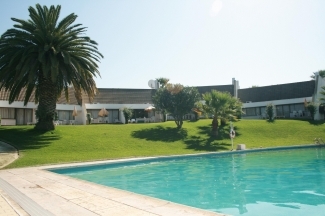 It is situated close to the heart of Vilamoura, a main centre for tourism and leisure in the Algarve, where tranquillity and security exist in complete harmony with nature. Holidays at Mouragolf are suitable for families, couples or groups of friends, as Vilamoura has a variety of both evening and daytime entertainments to match all tastes. The Village is surrounded by green open spaces where you will be able to enjoy of the song of numerous species of birds, and feel a long way from the confusing world that majority of us live from day by day. However, only 5 minutes away is the centre of Vilamoura with its famous international Marina, plenty of nightlife, restaurants and a variety of shops and boutiques. There is also the Vilamoura Casino where you can dine and enjoy cabaret, or if you prefer, there is the Black Jack discotheque for those who appreciate an elegant environment with good music. Mouragolf is situated alongside the Old Course, the first to be built in Vilamoura and one of Europe�s most prestigious and acclaimed golf courses. Within 5 minutes drive you will find the sophisticated Golf Academy of Vilamoura, the Millennium, the Pinhal, and, most recently, the Victory Golf Club. Algarve is well known for its beaches, and you will not be disappointed to find nearby two beaches already very well known by visitors to Vilamoura, Fal�sia Beach and Marina beach. For the more adventurous and for those who like to explore there are many other marvellous beaches and isolated coves along the whole coast of the Algarve. We have cleaning service 3 times a week (price included). 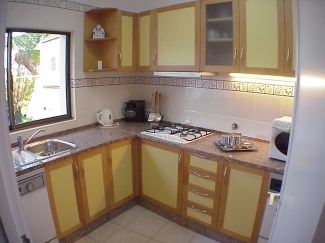 We also rent villas for month by � 480 + Consumes. 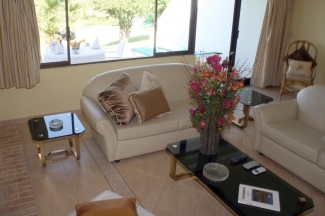 From October to May we have a special offer for Long Stay Rentals: � 480,00 + Consumes per Month.